The aging process, frequent exposure to the sun, and our own unique genetic makeup all can contribute to how our skin stands up to the test of time. We have access to a number of remarkable treatment methods and products that can help to address the unwanted sagging of skin of the face, neck, decolletage and other areas of the body. 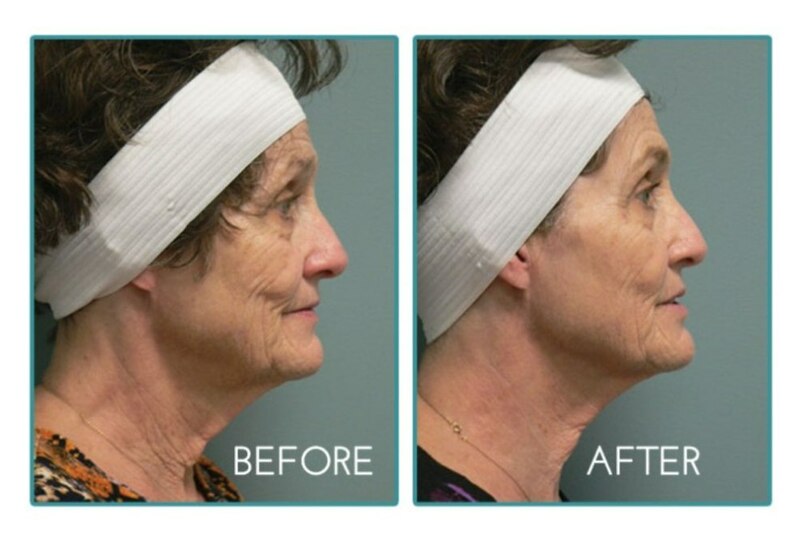 While Ultherapy is not a replacement for a surgical face-lift, there are many people who want some lifting but are not ready for surgery – either mentally, physically or financially. There also are younger people who want to “stay ahead of the game”, as well as those looking to prolong the effects of cosmetic surgery. Whether you fall into either category, Ultherapy may be right for you. Ultherapy is the only non-surgical cosmetic procedure that works to stimulate the growth of new collagen deep within the skin. The production of new collagen occurs over time, so results can become more apparent over three to six months. The procedure takes only about an hour for most patients, and there is no downtime. After demonstrating safety in clinical studies and over 100,000 treatments having been performed safely worldwide, the procedure has been cleared by the FDA. In addition, ultrasound energy has a proven track record, with use in the field of medicine for more than 50 years. A good candidate for Ultherapy is someone with skin that has some degree of laxity, to the point of looking and often feeling less firm. For instance, a lowered eyebrow line or sagging skin on the eyelids is often the first sign of “maturing” skin. Loose skin under the neck and under the chin signals a patient might be a candidate. Typically, those in their thirties and older who have mild to moderate skin laxity are candidates. Patients treated with Ultherapy still have fresh, young collagen after a year’s time following the procedure, but skin continues to age. Future touch-up treatments can help keep pace with the aging process, which varies by individual. While comfort thresholds vary from patient to patient, most patients report that the procedure is quite tolerable. If and when any discomfort does occur, it happens while the ultrasound energy is being delivered. The sensation is temporary and is a positive signal that the collagen-building process has been initiated. Want to see the amazing results of Ultherapy for real clients? Scroll through the photo gallery below. Comfortably reverse the signs of aging and achieve a more youthful appearance without downtime. elōs is the first and only technology that uses combined energies to effectively stimulate collagen production and improve your overall skin quality in areas that are most telling when it comes to age, such as the eyes, brow lines, check and around the neck. The combined bi-polar radiofrequency and light energies of elōs technology precisely heat the dermal tissue, stimulating collagen production within the target treatment area. Fine lines and wrinkles are reduced, facial contours improved and overall skin quality reveals a much smoother and even complexion. Most patients see gradual results through their Sublime treatment series. The total number of required treatment sessions depends on your skin’s condition. elōs technology is a safe and effective solution for most skin types.